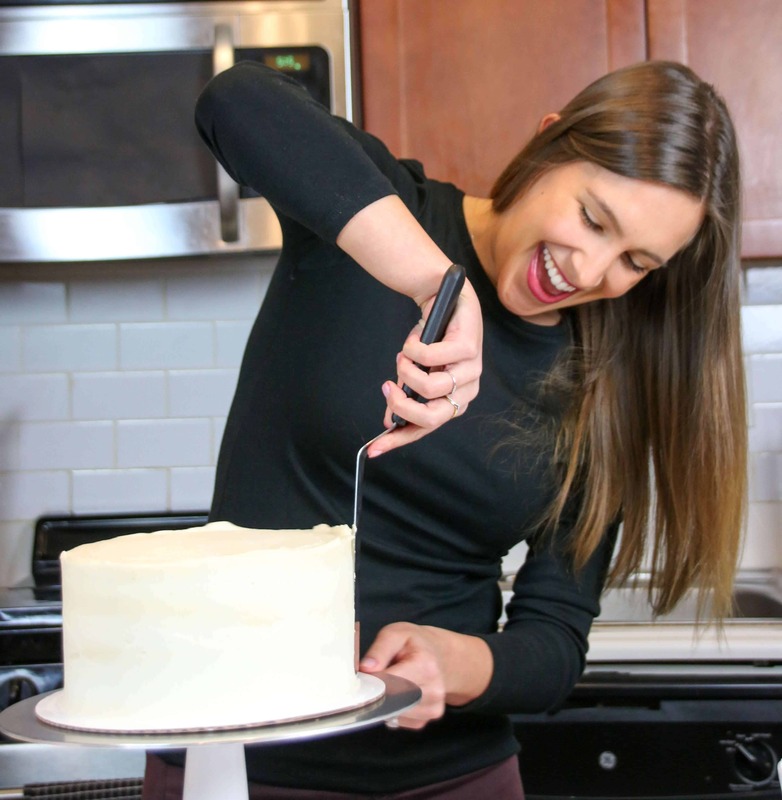 I’ve been asked what tools I use when I’m making cakes, and have decided to share a list of my favorite cake decorating tools! These are the tools and equipment that I wouldn’t be able to survive/decorate without. If you want to see pictures of each tool listed below, or know more about the equipment I film with, you can check you my amazon storefront! It’s also important to note that you don’t need expensive tools to get the job done. Some of the tools I use the most are also the cheapest! When I was first starting out, I would one item at a time, and slowly accumulated everything I needed. It can be a bit daunting when you think about EVERYTHING you think you need, so I recommend starting off the with the things that are the most important. Those were the most essential items. Everything else listed below, I gradually purchased as I received more orders. My purchases were driven by the actual need of certain items to complete a cake request. It also came down to being able to justify the purchase with the extra money I was making from my cake orders. So here they are, sorted by importance. I also included links to the exact products I use. Spinning Cake Stand – I have had this Ateco 612 cake stand for years, and it has never let me down! It can support very heavy cakes, and is dream to decorate on. Straight Edged Cake Pans – It’s worth investing in some good cake pans! They can last for years, and are totally worth it. I use either 7″ x 2″ or 8′ x 2″ can pans to bake the layers for most of my cakes. Offset Spatula – My offset spatula is used with every cake I make! 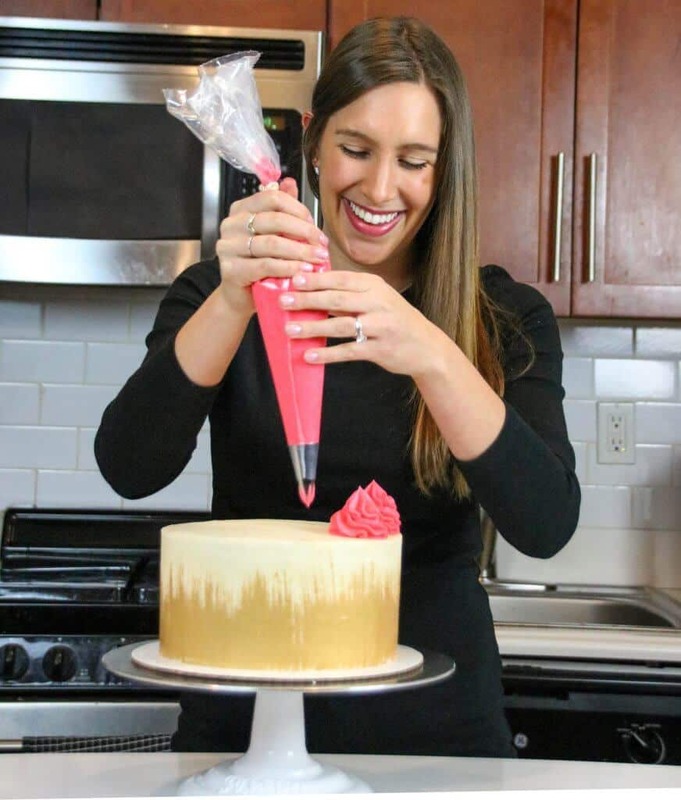 It helps evenly spreading frosting between cake layers, and work frosting around the cake for the crumb coat! I also use it for certain decorating techniques. Bench scraper – This tool is ESSENTIAL to getting smooth sides and sharp edges on your cakes!! I have several, but this one is the one I use the most. It’s only 6 inches tall, but is actually tall enough for more of my cakes. If you’re after a taller bench scraper, this a wonderful one that is 10 inches tall! 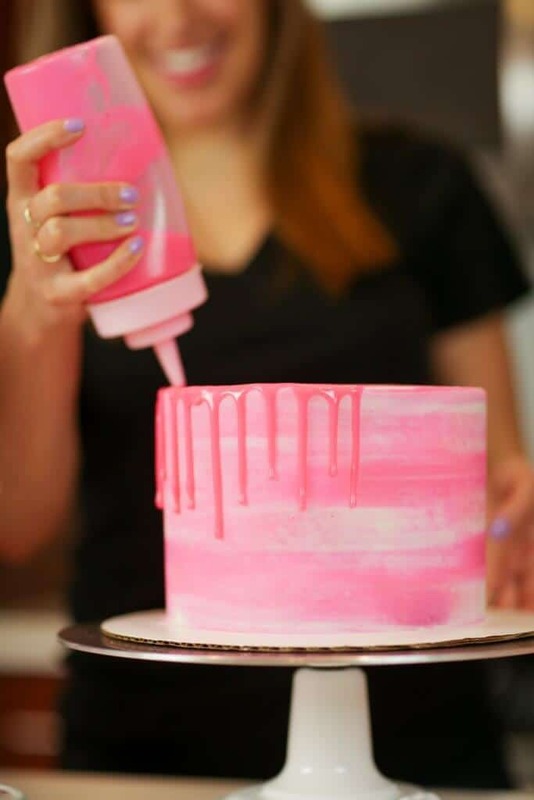 Basic Frosting Tips – I use a wide variety of frosting tips, but found that it was easiest when I was starting out to buy a pack of a bunch of tips. This bundle has a ton of different types, and is a great deal! Piping Bags – I use different sized bags for different projects, but I like to use these Ateco piping bags! They’re great quality, and never tear or burst, even with stiff buttercream or ganache. I order both the 12 inch and 18 inch sizes, in rolls of 100 on amazon. Cake Rounds/Cake Circles – I use 10-inch, greaseproof cake rounds because I usually 7 or 8 inch cakes. If you make different sized cakes, these come in a ton of different sizes! Just always be sure that your cake rounds are grease proof, otherwise the cardboard will show great stains from your frosting!! Kitchen Aid Mixer (4.5 quart size) and Paddle Attachment with spatula – I use these to make every recipe other than meringue! It is by far my most utilized tool. Gel Food Coloring – Americolor is the BEST gel food coloring out there. It colors both batters and frosting the most vibrant shades, and is the only brand I use. 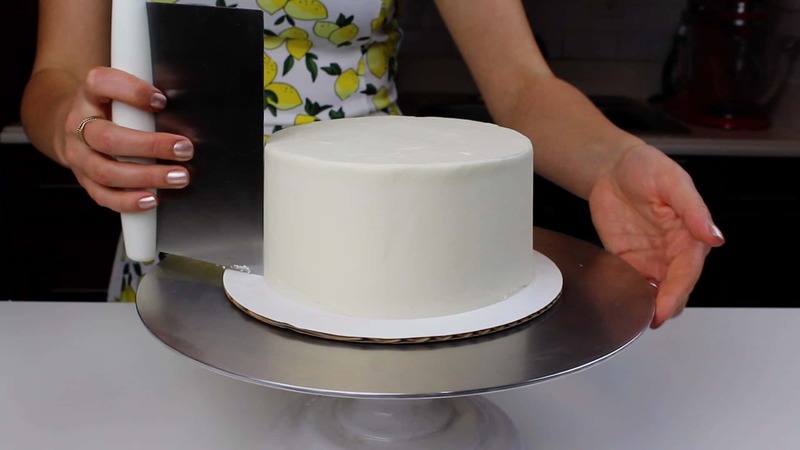 Acetate Sheets – These flexible plastic sheets are great for naked cakes (Christina Tosi style), ice cream cakes, and also for smoothing cakes with curved surfaces. Assorted Circle Cutters – I use these for a variety of different things, from fondant polka dots, to making fondant eyes. Plastic Squirt Bottles – I use these for all of my drips and drizzles!! Whether it’s regular chocolate ganache, colored white chocolate ganache, or caramel, these bottles allow you to easily get the perfect drips!! Air Brush – This is by no means an essential, but is so fun to have!! I recently purchased mine, and can’t get enough of it! It really is only needed for specialty or fancy cakes, and I finally purchased one for big partnership that required it. Iridescent Knives – My friend got these for me, and I simply can’t get enough of them!! I also get asked all the time where they’re from, so I figured I’d share the link! 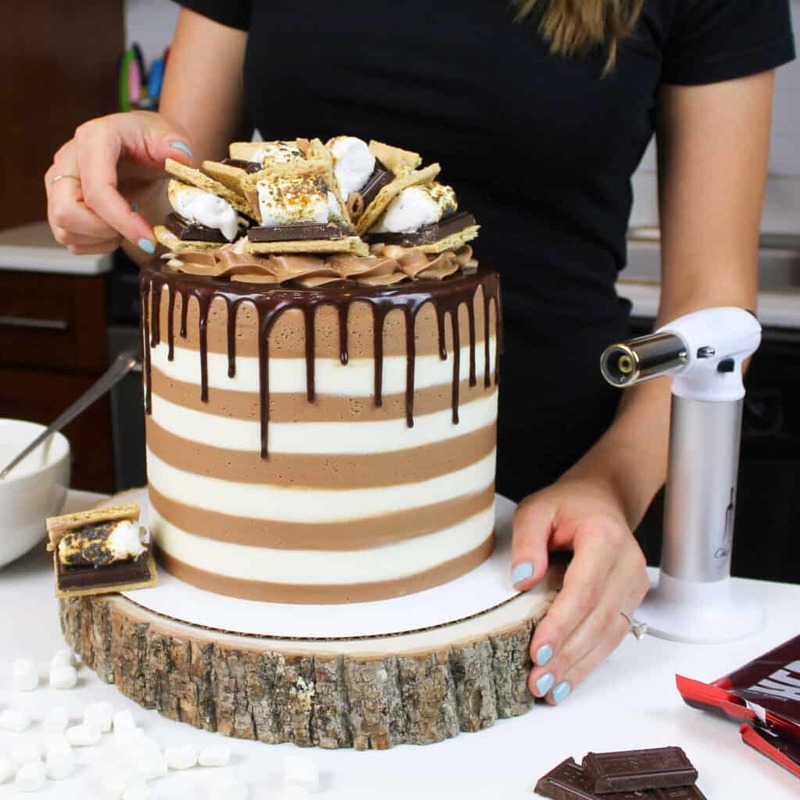 Kitchen Torch – This can come in handy for toasting meringue, heating up a spatula for smoothing frosting, or even making s’mores. *DISCLOSURE: As an Amazon Associate, I earn money from qualifying purchases.